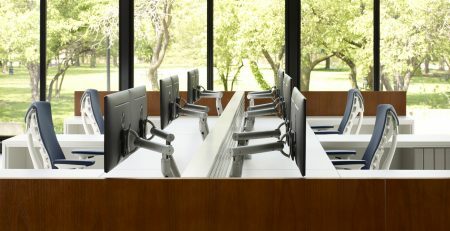 Selecting the right office furniture for your business can be a daunting task. It is not as simple as picking out the office furniture that you think looks neat and is within budget. 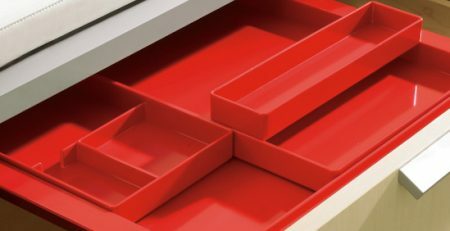 There are a number of factors to take into consideration to ensure the office furniture you choose is functional, fits in the space and matches the needs of its inhabitants. When the time comes to choose your office furniture, let’s take a look at items to consider throughout the decision making process. 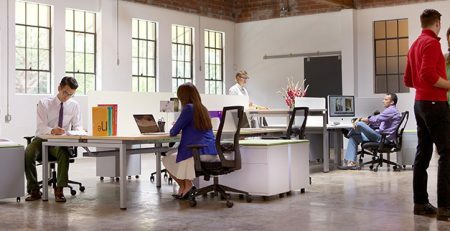 One of the most important things to know before you begin to outfit your office with cubicles is the dimensions of the space. Carefully measure the dimensions of the office so you know the exact amount of space you are working with. This needs to be a meticulous process, because a matter of inches can be a big deal in the long run. Most of the time an office will have these measurements available in the original blueprints of the space, but you’ll want to double check to make sure. I’ve seen it happen several times – a customer sends over the measurements of the office, chooses the office furniture, and once installation begins we realize that there is a beam directly in the middle of the office. 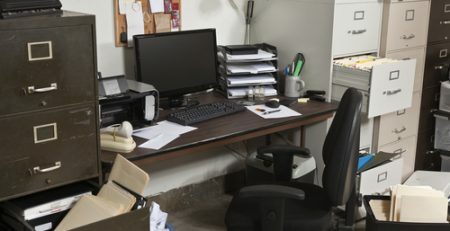 This can have a drastic effect on the installation of the office furniture. Be sure to point out to your office furniture space designer that there are obstacles present – and make adjustments accordingly. One of the more enjoyable aspects of selecting your office furniture and cubicles is colors, patterns and designs of the actual office furniture. Think about the color scheme of your business as well as the colors already present in the office. 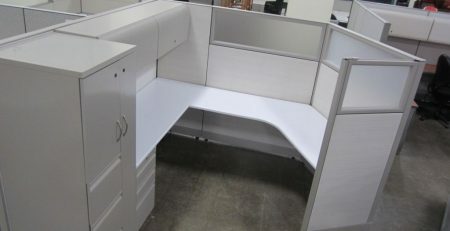 Choosing office cubicles that match the color scheme of your company is a great way to establish some branding. Be sure to keep in mind, however, the current color scheme in place in your office. It’s very easy to only think about your current office furniture needs, but what if your company expands in a year or two down the road? 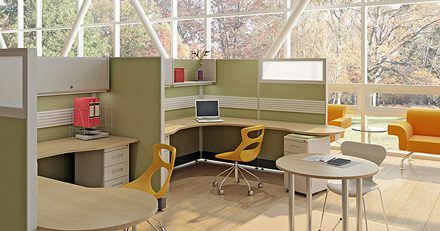 If you are expecting to grow you will want to take that into consideration when you are space planning your office furniture layout. It can also be more economical to purchase all the furniture at once, as sometimes you could receive a bulk discount.